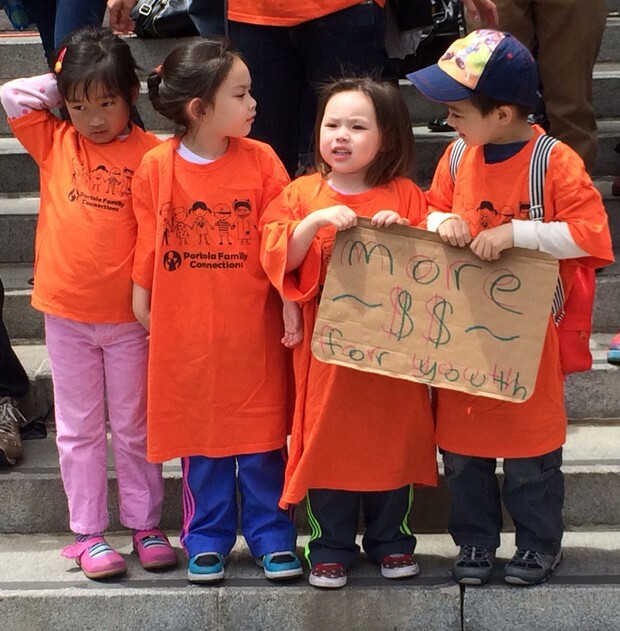 For over 100 years, afterschool and youth development programs have struggled to secure stable, sustainable funding. Why is this? Is it because we don’t value our children or believe in the importance of out-of-school learning and support? Or is it structural? We conducted an interview with Margaret Brodkin, who led a campaign in the early 1990’s to develop a permanent “children’s fund” in San Francisco – a stable and sustainable fund of city tax dollars dedicated to programs that support children and youth. Ms. Brodkin has gone on to assist cities and counties across the country to develop their own “children’s fund”. Below, we offer part one of a two-part interview with Ms. Brodkin. A: My first job, in the early 1970s in San Francisco, was to run the children's program at the Jewish Community Center. What we began to notice was that there was a group of parents who would send their kid to the art class on Monday, dance class on Tuesday, gymnastics class on Wednesday, who really needed something every day. 'Afterschool' wasn't a common word. The idea that someone needed a program every day for their kids was controversial at the time, because women weren't supposed to work. We decided to start this everyday, after school program. We had to get a special grant to do it, I had to get in my car and drive around and pick up all the kids who were in that program. The program is still in existence and now it is the largest after school program in San Francisco. It started by realizing that kids needed an every day experience. My idea about the importance of community centers - whether its the YMCA or the Boys and Girls Club or the Jewish Community Center or neighborhood center - that kind of community institution was such a fabulous resource. The other experience that shaped my perspective was a conference I attended that featured Richard Murphy and Geoffrey Canada. They were talking about the New York Beacon Centers. The idea that a school could be a community center was new. A school could be the place where children and families could come and belong, and it could be the center of the community. It just riveted me, as a model, and came back from the conference and said, “we've got to do this in San Francisco”. I think that it is a model for everywhere because every child goes to school. Schools should be the center of neighborhood life. It’s a model that's appropriate for the suburbs, for a city, and particularly appropriate for a rural area. Q: You were instrumental in drafting a city proposition to ensure the city had the needed resources to positively impact youth outcomes. What were some of the basic changes that this initiative brought? A: At that time, I was the head of a children's advocacy organization in San Francisco where we worked on lots of issues trying to get services and programs for kids but we always hit a brick wall - there was never the money to do it. So we started a crusade to get money for children's services. We introduced the idea of a children's budget and submitted that to the city for three years in a row. We would have some wins, we would have some losses, but we could never really compete with police and fire and the other things the city felt were their responsibility. We got the idea that we would put a measure on the ballot to create a dedicated fund that we call the “children's fund” that would just be for children and youth services. This would be an operating part of how San Francisco did its business. 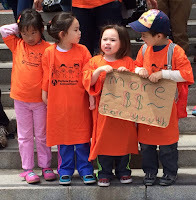 Everybody in city hall opposed it because they didn't want to carve out money for kids. They wanted the flexibility to add more police, etc. and we said, “no - kids will never be able to compete in the dog eat dog budget process”. We decided to put this on the ballot. We collected 67,000 signatures and it passed. Now its been reauthorized three times - the first time it was passed was in 1991. 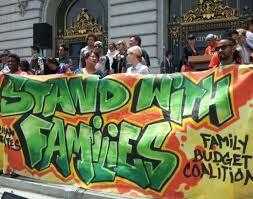 It became the major source of funding for children's services in San Francisco. The children's movement in San Francisco became a political force to be reckoned with and it started with getting this measure passed. We went on for every year getting additional dollars in the budget, getting additional policies changed. Q: What did the passage of this proposition change in San Francisco? 1) It created this funding stream. The original Children’s Fund was a set aside of 2.5% of the property tax, and we inched it up in each reauthorization campaign, so it is now 4%. The first year it was in effect in 1992, it was $12 million; and within a year it will be $94.7 million. 2) It gave us a huge amount of flexibility with what we could do at the local level. It allowed us to go into neighborhoods that no one had been in before, it allowed us to serve new populations like children with disabilities and LGBTQ young people. That's how we ended up funding the Beacons; that's how we ended up funding health services in the schools; its how we ended up funding arts programs; and more. 3) It allowed us to focus on prevention. So many resources go in to address problems after they exist, like after a child is in trouble, or after someone is sick or involved in the child welfare system. It gave the city the opportunity to invest in prevention. 4) It allowed us to create a new office, the Department of Children, Youth, and Their Families, which I had the opportunity to lead for five years. This office provided the mechanism for planning; for coordinating; for giving out the money; for holding people accountable; for having a transparent process that people can get engaged in. 5) By having all this local money, people could leverage state and federal money. This was a huge success for the youth and children's movement and we gained a kind of power to continue the good fight. 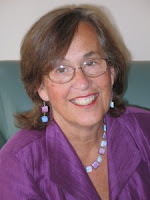 Margaret Brodkin is a nationally recognized children’s advocate and policy pioneer and known as the “Mother of the San Francisco Children’s Fund,” a multi-million dollar annual fund that made San Francisco the first city in the country to provide local dedicated funding for children. She is currently Founder and Director of Funding the Next Generation. Ms. Brodkin served 26 years as Director of Coleman Advocates for Children and Youth in San Francisco, California – turning a small community organization into an influential powerhouse for kids and a national model for creating a diverse and lasting local children’s movement. Ms. Brodkin later served as Director of San Francisco’s Department of Children, Youth & Their Families. She then served as the Director of New Day for Learning – an intermediary partnership organization launching San Francisco’s community school initiative, resulting in the institutionalization of community schools as a centerpiece of the SFUSD education reforms.